But guess what. There are no proven benefits to placenta ingestion, and many doctors warn against it. Still, to each her own. Reed is living the new-mom life to the fullest, it seems. Last week, she toted her breast pump to Variety‘s Power of Women Luncheon in Los Angeles and showed off the apparatus on Instagram. “On my way to present at @variety ‘s #powerofwomen luncheon and this is my hot date. Kidding. I have another hot date. But this thing is definitely our third wheel,” she captioned the funny pic. 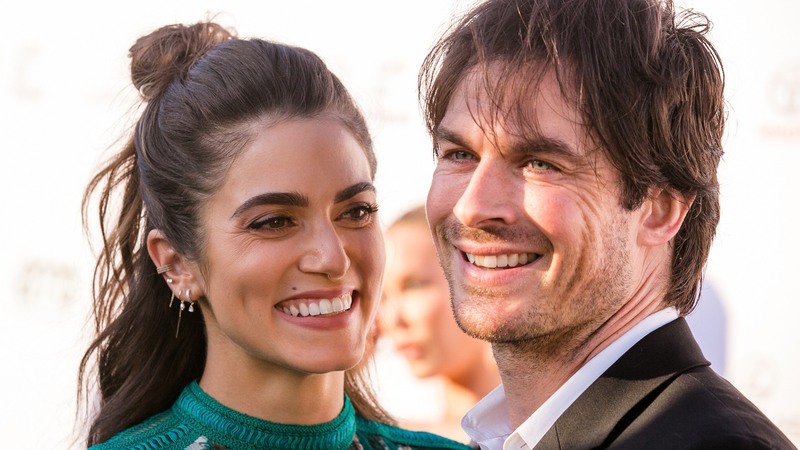 Reed and husband/hot date, actor Ian Somerhalder, welcomed daughter Bodhi Soleil in late summer. “We’ll take the baby’s first month for ourselves. After the baby arrives, we’re doing one month of silence. Just the three of us, no visitors, and we’re turning off our phones too, so there’s no expectation for us to communicate,” Reed told Fit Pregnancy before the newborn’s arrival. Except not so much. New parents are cute that way. The two broke their self-imposed silence with gushy tribute posts on Instagram pretty quickly after Bodhi arrived. Oops. It’s OK; we understand. Babies scramble your brain — placenta pills certainly can’t help with that.